Anyone with abandonment issues, look away now. 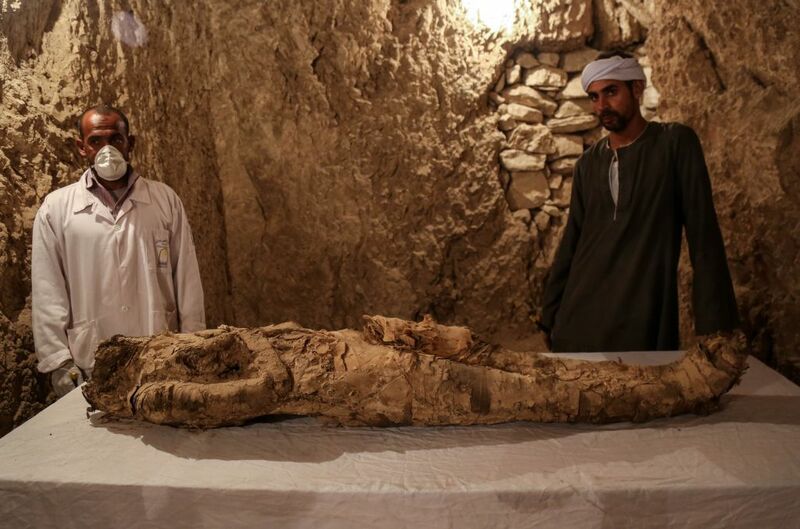 A mummy has just been discovered in a previously untouched Egyptian tomb, and archaeologists cannot wait to desecrate the ancient grave to find out more about history. The tomb is one of a pair found on the west bank of the river Nile in the southern city of Luxor, dating back to around 3,500 years ago. It’s truly an exceptional day. 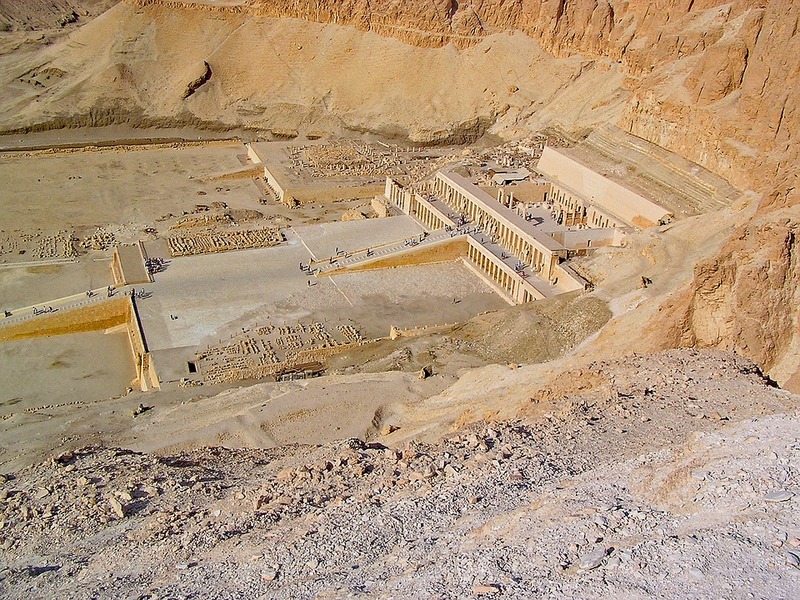 The 18th dynasty private tombs were already known. But it’s the first time to enter inside the two tombs. In what experts are calling ‘the discovery of the year’, the artefacts uncovered date back to the 18th century New Kingdom era. 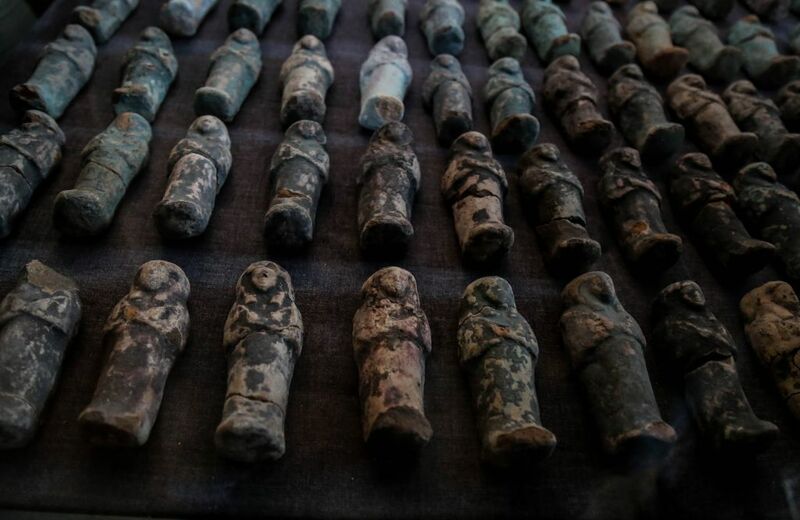 The Egyptian Ministry of State for Antiquities made the exciting announcement on Saturday, after scientists discovered the treasure trove at the necropolis of Draa Abou Naga, part of the Unesco World Heritage site of Thebes. The occupants of the private tombs – who are presumably royally ticked off if The Mummy franchise is anything to go by – remain as yet unidentified but are believed by the ministry to have died between 1550BC and 1292BC. The two tombs, seven and ten metres deep respectively, were found to contain a number of artefacts, including 40 funerary cones, 36 Usahbti statues, and funerary furniture, some of which was gold plated. Of particular interest is a large painted wall, which has survived almost intact, reports The Independent. It’s really beautiful and typical 18th dynasty. It looks like it was painted yesterday. 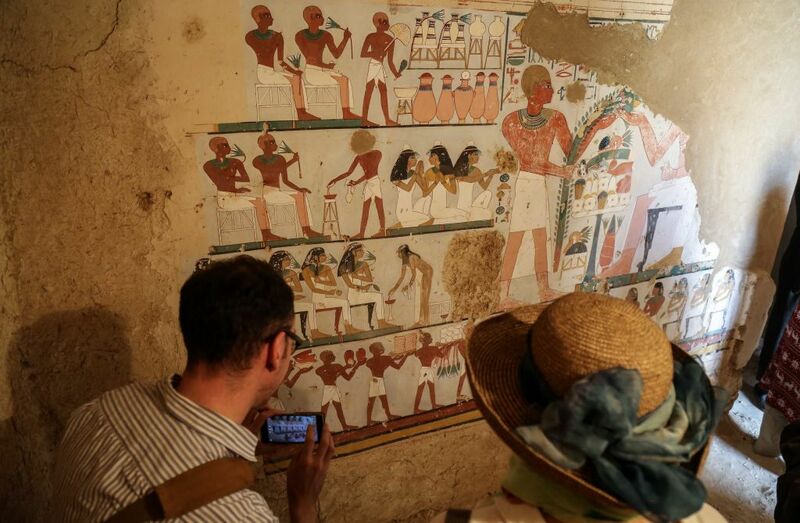 In my opinion, this could be the best painted wall discovered in Draa Abou Naga in the last 100 years. Wall inscriptions and paintings suggest it belongs to era between the reigns of King Amenhotep II and King Thutmose IV, both pharaohs of the 18th dynasty. Since the revolution in 2011 and in the wake of recent terrorist attacks, tourism in Egypt – one of its main economic industries – has struggled and many observers believe Mr Alnani is trying to use ‘the power of Egyptian monuments’ to get positive images of the country back into the press. This year has seen a number of large choreographed press events for announcements of impressive discoveries, leading to suspicions of the ministry strategically releasing finds for maximum effect, although ministry officials deny this. 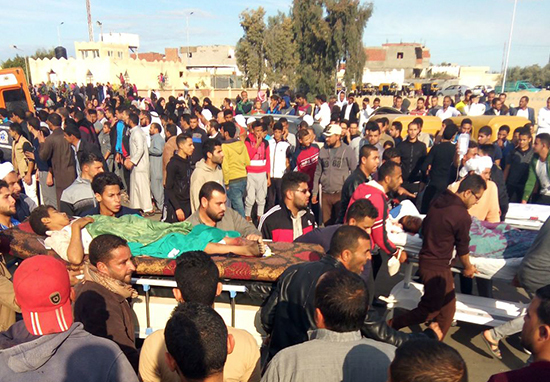 But with Egypt currently reeling from its worst terror attack in modern history, in which as many as 305 worshippers were killed in a gun-and-bomb attack on a mosque in North Sinai on November 24, the coming season is expected to see a further drop in visitors. 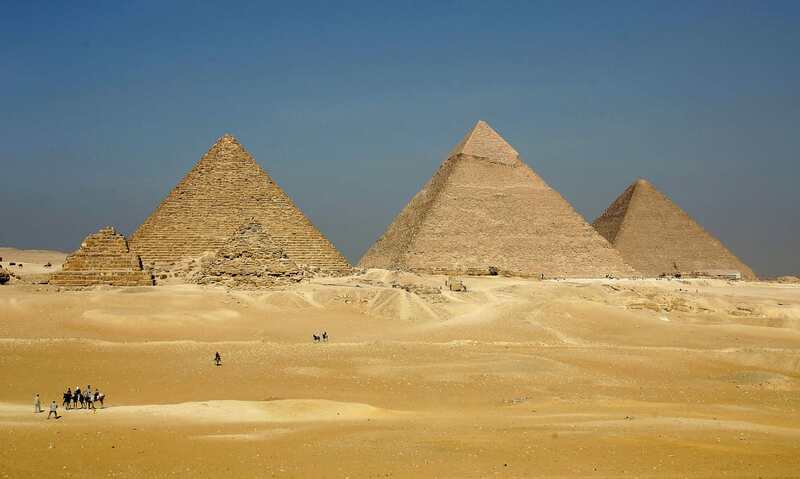 But tourism actually feeds the conservation of Egypt’s rich and colourful history. According to Mr Hawass, the ministry can spend up to 1.3 billion Egyptian pounds (£54.6m) a year on maintenance of monuments alone. In addition, the Grand Egyptian Museum, under construction near the Great Pyramids, is estimated to cost over $1bn (£750m), millions more than its original budget. Since the beginning of 2017, the Antiquities Ministry has made a string of discoveries in several provinces across Egypt. These include the tomb of a royal goldsmith, in the same area and belonging to the same dynasty as the latest discovery.